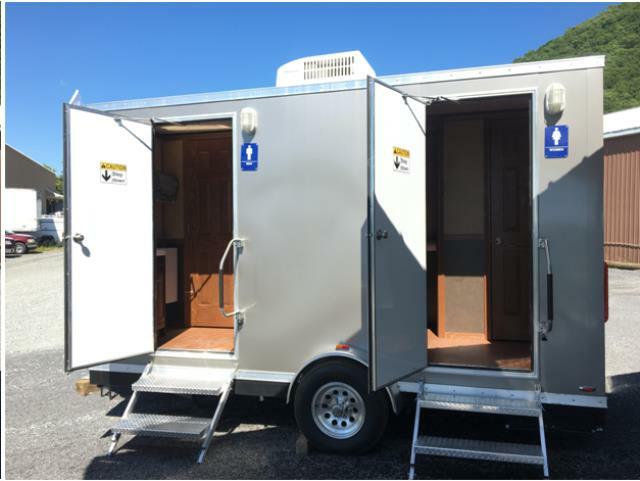 Great for weddings, birthday parties, corporate functions, sporting events, construction projects and anywhere else temporary restrooms are needed. 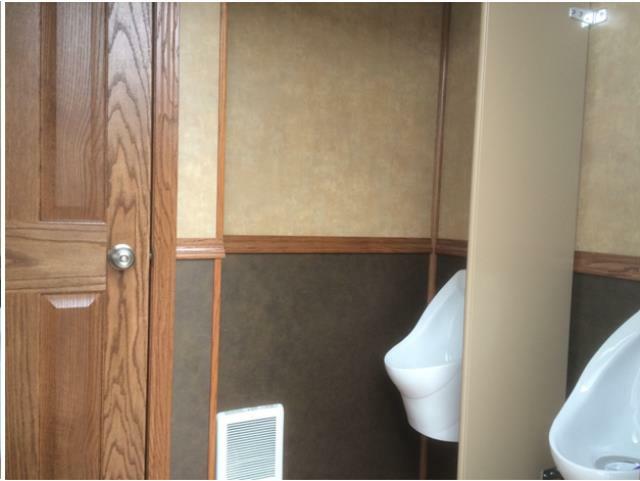 These mobile restrooms provide all the luxuries of home restrooms with features that include: flushing toilets, urinals, sinks, mirrors, and linoleum floors all in a fresh sanitary environment. Our hands-free fixtures help to keep the rooms clean and sanitary. 14' trailer Includes: 1 Men's RR with toilet and 2 urinals and 1 Women's RR with 2 toilets. Equipped with A/C, interior/exterior lighting, heat and ventilation. Requires 2 dedicated - 20amp outlets for lights/pump and AC/Heat unit. Can run off of a 3,000 watt generator if no electric. 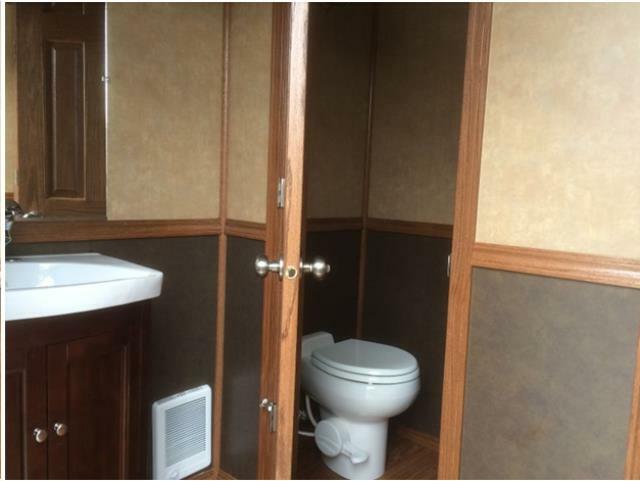 * Please call us with any questions about our restroom trailer 14 foot rentals in Corning and Bath, serving the Finger Lakes Region of New York.